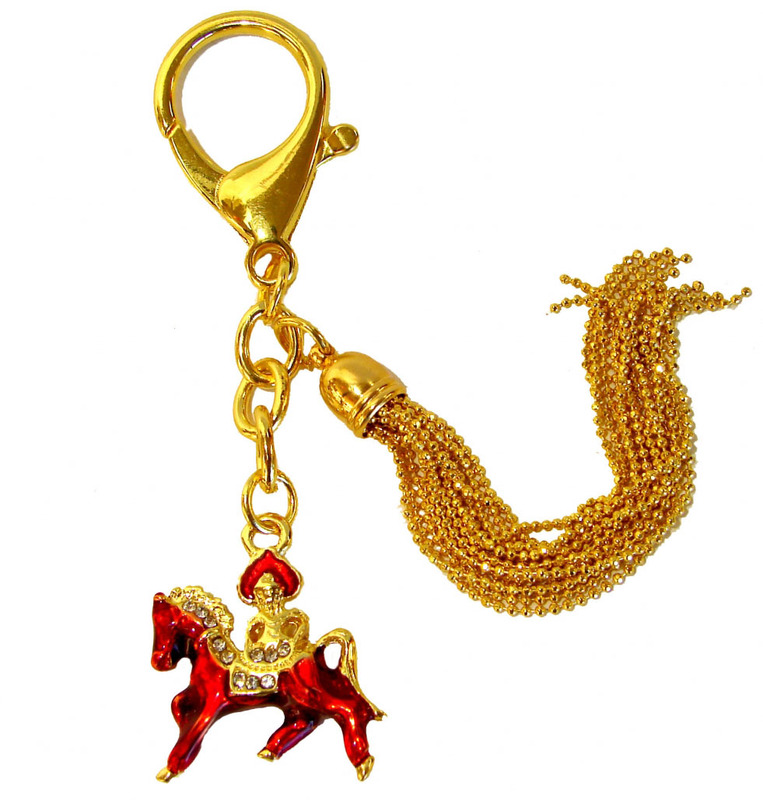 This lovely red bejeweled red horse keychain carrying flaming jewel of victory sparkles with vibrant color, brilliant jewels, and excellent craftsmanship. The keychain amulet is perfect for easy transportation, and can be hooked onto any purse, wallet, car, keychain, clothing item, etc. Carrying this beautiful red Victory Horse Keychain Amulet will enhance your auspicious chi, and grant you victory and success in all person, scholastic, financial, career, and relationship endeavors ! Flaming jewel of victory will enhance auspicious chi, and grant you victory and success in all person, scholastic, financial, career, and relationship endeavors ! The horse is a universal symbol of endurance, strength, power, victory, success, and independence. As the 7th sign of the Chinese zodiac, the horse is an excellent symbol of reputation, victory, strength, and endurance. The overall length of the bejeweled red horse amulet 5.25". It is made of alloy. See more Horse Statues and Feng Shui Amulets.